BREXIT UPDATE AS ANY CHANGES HAPPEN! To get the very latest on how Brexit will affect you if you operate in the UK Haulage industry click on the banner above to get it straight from the horses mouth. By clicking this graphic you can load up the very latest advice from the gov.uk website. Requirements for UK goods vehicle drivers driving abroad. Haulage journeys to, in or through the EU and EEA . Driver CPC for lorry drivers. Driving licences and international driving permits. Driving licence exchange for UK nationals living in the EU. Number plates and national identifiers. Vehicle insurance and road traffic accidents. Driving to the Port of Dover or Eurotunnel. Latest. The deadline for the UK to leave the European Union has been extended yet again. Now we are set to leave on Thursday 31st October 2019 (Halloween). Whether we leave with (or without) a deal is uncertain, and only the next six months will reveal any implications for UK truckers. Action group BrexitDirectAction are planning 'go slow's' across the country today (Friday 22nd March). 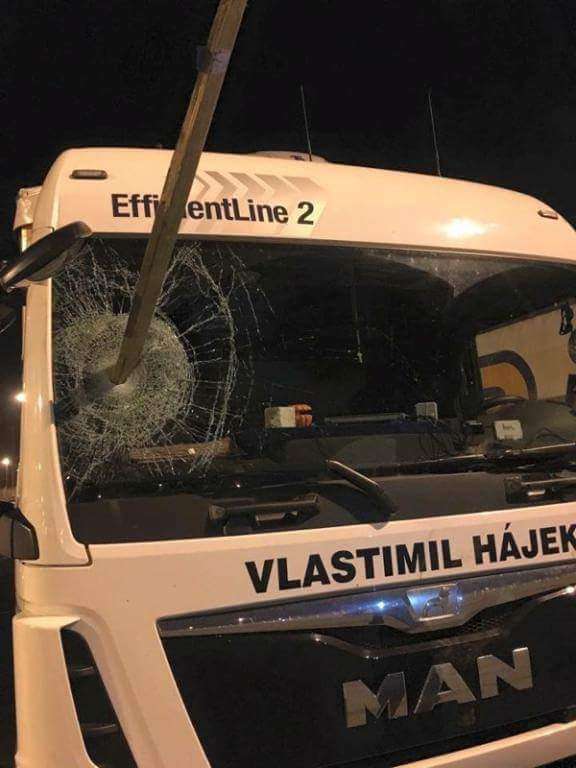 Five locations across England have been targeted for protests by the action group including Bodmin services in Cornwall, the A5/M54, Derby/Nottingham, Felixstowe docks and Bay Gateway, Lancaster/Morecambe. This appears to be a dress rehearsal for a much bigger protest on Friday 29th March 2019 (a week from now). However the overnight decision by the EU to extend the time before the UK departs the European Union has raised further doubts as to how much impact these protests will have. The staunchly pro-Brexit group is claiming they will ‘bring the country to its knees’ by blocking transport hubs and major ports if the UK does not leave the EU on March 29th 2019. The group wants to see a “clean Brexit from the EU in accordance with the 2016 EU referendum”. In a press release published on Twitter by the group, they set out their aims and motives. "BDA / @ActionBrexitGroup believe that our government should fulfil their manifesto and EU Referendum pledge to exit the EU on 29th March with either an acceptable Withdrawal Agreement, or World Trade Organisation managed exit." Reaction to the planned protests has been mixed on social media. Many are in full support, but many are cynical claiming that this is exactly the type of disruption the country will face if there is a 'No-Deal Brexit'. It was also reported in this Wednesday's Daily Express that the group also intended to target the following major roads (in the main protest on Friday March 29th) including the M1, M6, M25, M62, A1, A55, M5, M4, M42, M55, M61, A66, bringing the country to a standstill. They also claimed fishermen and farmers were keen to join in their mass protest. Protests are expected to start tonight during the busy Friday teatime rush hour at 5.30pm. MERCEDES UNVEIL NEW ECONIC TRACTOR UNIT! Mercedes have unveiled their new Econic tractor unit that is one of the first to comply with Londons new 5 star Euro rating for eco friendly commercial LGVs. Fresh produce supplier Reynolds, were one of the first to take delivery of the low entry tractor unit that will be used for multi drop deliveries across the capital. The vehicle scores five stars on Transport for Londons new 'Direct Vision Standard'. The tractor which is plated at 31 tonnes pulls a Gray & Adams dual temperature tandem trailer with a carrier fridge mounted underneath. The new Econic tractor unit is based at Reynolds' Waltham Cross national distribution centre replaces a DAF four by two tractor unit. How will this weeks Brexit votes affect the haulage industry? Are We Facing a Massive Driver Shortage? Police Using Unmarked Trucks to Snare Truckers Breaking the Law! 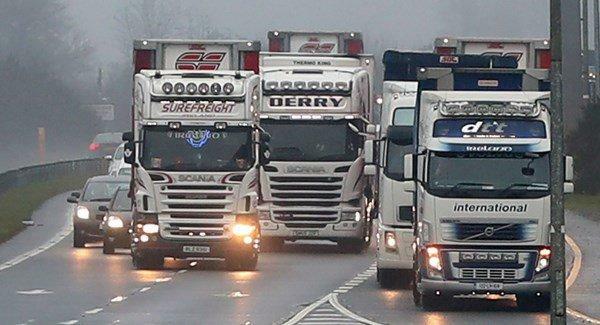 A fleet of three unmarked lorries have been unleashed on UK roads to spy into cars and catch drivers to fine. The small fleet of three of unmarked HGV lorries are set to be deployed on the UK motorway network and A-roads to reduce dangerous driving offences. 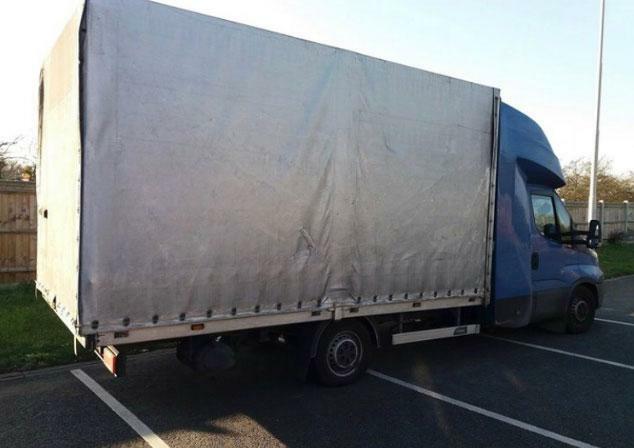 Essex Police recently revealed the unmarked lorry to patrol motorways. 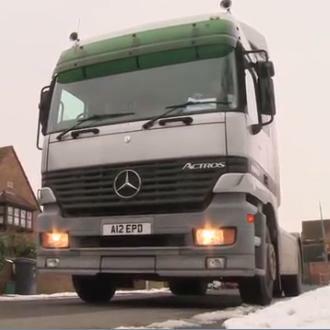 The Mercedes artic 'Actros' tractor features the plates "A12 EPD"
Three new ‘supercabs’ will be set loose on the roads in a new initiative to improve road safety. Highways England announced plans to fund these three new unmarked HGV cabs after a successful trial. 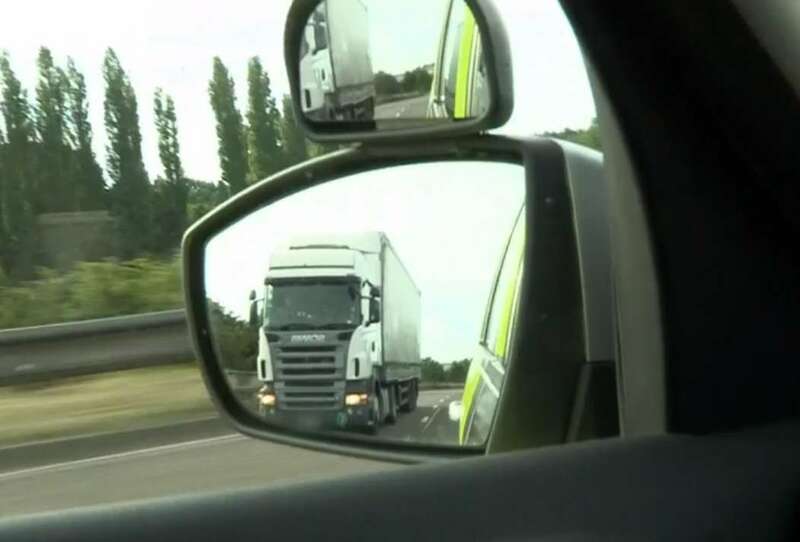 During the tests, involving one HGV used to monitor drivers, over 4,000 dangerous drivers were caught. 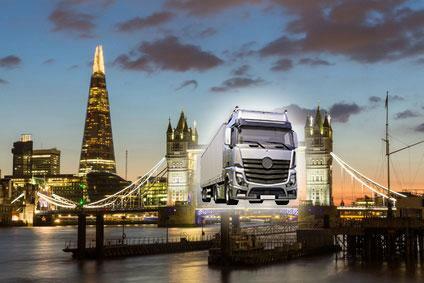 Could HGV's be banned from London? It has been reported by London's Mayor Sadiq Khan and (TfL Transport for London) that plans are being introduced to ban tens of thousands of LGV's from the capitals roads within the next four years. Back on 30 September 2016 the Mayor announced that he intended to use the world's first Direct Vision Standard (DVS) for Heavy Goods Vehicles (HGVs) to improve the safety of all road users, particularly vulnerable road users like cyclists, pedestrians, and motorcyclists. Research carried out by Transport for London showed that between 2015 and 2017, HGVs were disproportionately involved in fatal collisions with cyclists (63%) and pedestrians (25%) on the city's streets, despite only making up 4% of the overall miles driven in London. Van Stopped by Police 35% overweight! The Regional Commercial Unit of North West Motorway Police yesterday 15:57 on February 27th 2019 stopped this vehicle. It had been found to have had additional air bags fitted to disguise the 35% overload. The vehicle was subsequently prohibited and on the spot fine issued. Brext Update - How will Brexit affect DCPC? Well we leave the EU on March 29th 2019. Then after that nothing changes during the transition period. The transistion period could even be extended. Watch this handy video from the BBC. Training for Alternatively Fuelled Vehicles - Development of new training material begins. In July 2018 new laws came into force. This allows holders of Category B driving licences to drive commercial vehicles up to 4.25 tonnes where that vehicle is powered by an alternative fuel (AFV). An alternative fuel vehicle (AFV) is a vehicle that can run on substances other than the more conventional petroleum diesel and gas. Examples of alternate fuels include electric, solar, hydrogen, ethanol, biodiesel, propane, compressed air, liquid natural gas or liquid petroleum. However, to be able to use this new 4.25 tonnes allowance, a driver must undertake five hours of training prior. This training must be undertaken with an instructor on the National Register of LGV Instructors or the National Vocational Driving Instructors Register and result in the issue of a certificate of training which they must carry with them. 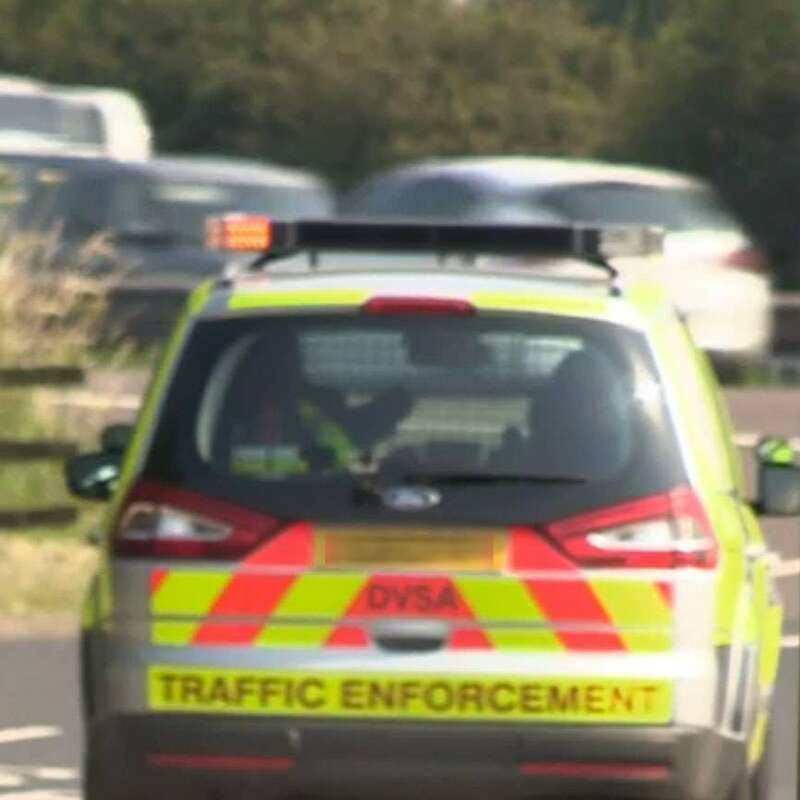 The regulations don’t allow for the derogation to be used during training (on the public highway), so the 5 hours of training will be either practical training away from public roads or classroom based - or a mixture of both of these. As the managers of the National Register of LGV Instructors (NRI), RTITB have been asked to work with Department for Transport to develop the process of certification and training. RTITB have therefore began seeking early input from their consortium members to gain your views as to the impact and operation of this new AFV allowance. In early September 2018 Fleet Operators and Training Providers were asked to give RTITB their feedback. Why has this allowance been made? 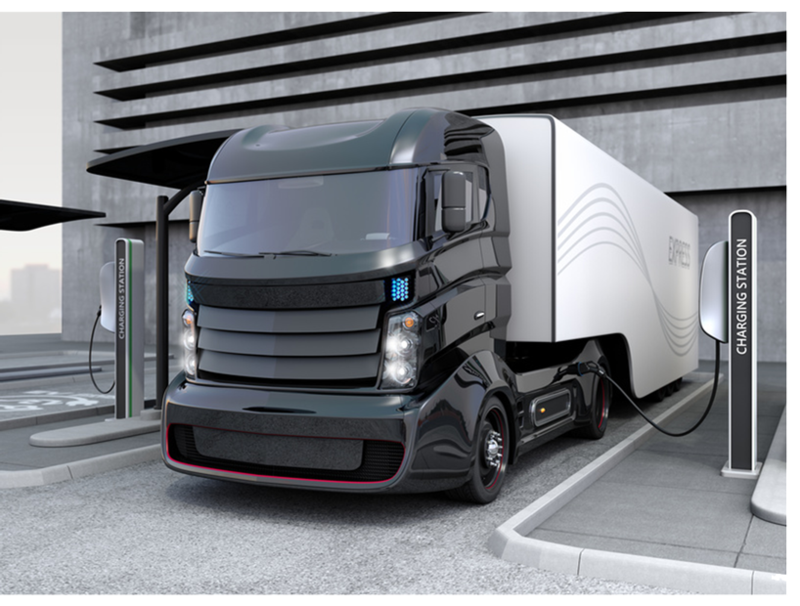 The current weight limit is 3.5 tonnes (for drivers who do not hold category C1), but as alternative fuel technology can weigh more than the drive-train of a conventional vehicle, operators are left with a payload disadvantage for choosing cleaner fuels. The Office for Low Emission Vehicles (OLEV) intend this to help fleets introduce vehicles powered by electricity, natural gas, biogas or hydrogen or hydrogen and electricity (multi fuelled). So in short drivers without C1 category will be able to drive commercial vehicles up to 4.25 tonnes (up from 3.5 tonnes) but the vehicle must be powered by alternatively fuel and they must complete the new training in advance. UK truckers can breathe a collective sigh of relief after the ride-hailing business Uber has closed its self-driving trucks division to concentrate solely on its research with autonomous cars. Although the division had already completed a delivery of Budweiser beer two years ago in 2016, it's now shutting down as the company focuses on self-driving people transport rather than goods transportation. Eric Meyhofer, the head of Uber's team developing self-driving technologies, said: "We believe having our entire team's energy and expertise focused on this effort is the best path forward." Although the research is into developing autonomous vehicles - vehicles that operate completely without human intervention - current trials outside of laboratory settings across the industry have been exclusively semi-autonomous. Uber suspended its self-driving car tests in March this year after one of the vehicles struck and killed a woman in Tempe, Arizona. Uber has since conducted a safety review and last week confirmed it would be returning to streets in Pittsburgh, although those cars would, for now, run in "manual mode", meaning a driver would operate the vehicle at all times, and have two safety operators in each car. 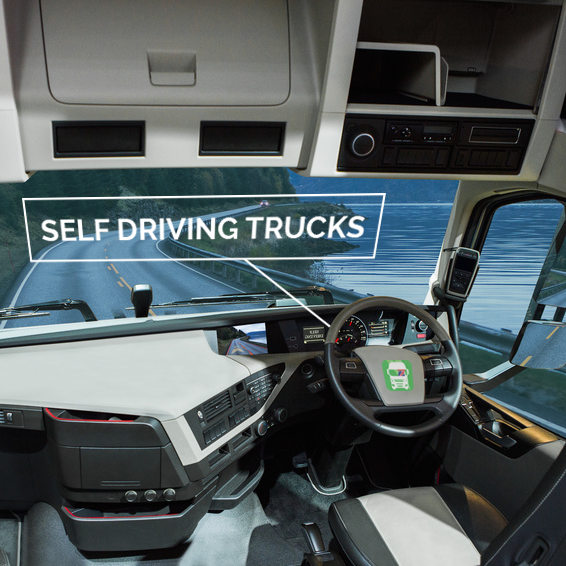 The UK government still intends to trial small convoys of partially self-driving lorries that will be tried out on major British roads by the end of this year. We are keeping an eye on the Joint Customs Consultative Committee (JCCC) ahead of a possible truckers #brexitbottleneck after committee man Patrick MacSwinney appeared on Sky News last night as UK exporters fear impending bottlenecks at Channel ports for UK truckers. Brext secretary David Davis resigned last night over the "Common Rule Book" proposed by Theresa May's cabinet. So it looks like as we approach the Brexit deadline lorry drivers can look foward to very little changing and many of the hard Brexiteers ideas and suggestions that we can "take back control" being diluted down as each day passes. With all the twists and turns we are hearing re Brexit in the news we will continue to update as often as we can when we find out some definite plans from the government that may affect truckers across the UK. Could be that Taxi Driver CPC is back on the radar. It was introduced in Northern Ireland as a pilot a few years ago, and the good thing there was that drivers must do 7 hours (1 day) a year. Be good for all involved if they use this rule if it's introduced on the UK mainland. And come to think of it would be good to use that process of staggering training for LGV and PCV industries also. Interesting article in the sunday papers about the proposed 'Channel Bridge' that will link the UK and France after Brexit. Seems like a pet project of Foreign Secretary Boris Johnson's and something that will have long term implications for drivers of long distance LGV's to the continent. We will update on more in this topic in the future. Got 7 days of courses in a row coming up! Weekday course Monday to Friday 22nd - 26th at The Industry Centre and Saturday at St Peters Gate in Sunderland then up to Northumberland on the Sunday (28th January!). Always nice though to see Colin and the farmers up at Bellingham. Always does us a good deal on a £100 hamper of organic meat. Stick it all in the freezer and lasts us nearly all year! Showed the drivers on the course the Elon Musk presentation of his new Tesla Semi truck yesterday. Had them all transfixed on the big screen! RTITB have updated their Driver CPC course for 2017-18. We are therefore updating the modules from RTITB that we deliver to our drivers. The Monday will still be (possibly the most important) Drivers Hours A & The Professional Driver A. This particular course is designed to help drivers understand the complexities of Drivers' Hours, discussing rest periods, the Working Time Directive, record keeping and enforcement all as relevant now as it will be after we will leave the E.U. Then on the Tuesday we have Load Safety A & Emergency Actions A. On a Wednesday it's Safe and Economic Driving (Theory) A & On the Road A. Thursday it's Health & Safety A & Tachographs A. And on the Friday a course that suits both drivers and managers Haulage Operations (Compliance & Enforcement) A & Haulage Operations (Road Freight Compliance) A. And news reaches us today of the Traffic Commissioner suspending the Operators licence of a West Midlands company recently that failed to download vehicle units and produce driver infringement reports. Traffic Commissioner Nick Denton suspended a fabric wholesaler's vehicle operations for four days. He said the company, based in Wednesbury, was slow to react after an audit picked up vehicle and driver compliance issues. One vehicle had operated without a valid MOT, safety inspections were not carried out on time and drivers were reporting defects verbally. The business also hadn't downloaded data from the vehicle units or produced infringement reports. This meant that numerous and repeated offences by one driver in particular were missed and not dealt with. 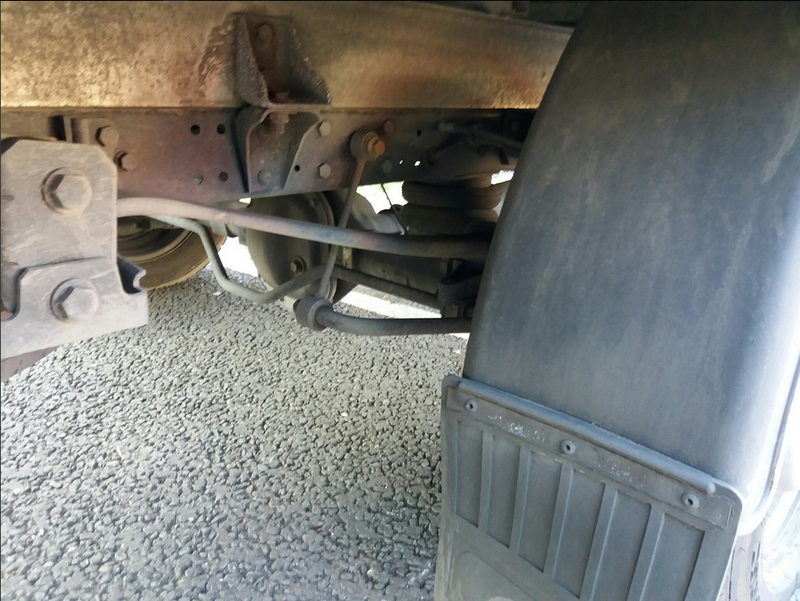 The Traffic Commissioner said this case showed why it is essential for operators to download vehicle unit data. The industry employs an estimated 1,211,012 with the net worth of the sector put at £81,826,362,827 (that's £81.8 Billion). There have been 216 company failures this most recent quarter. Payments to transport companies are worsening with Transport and logistics companies being paid on average 11 days beyond terms. But payments to it's suppliers are stable with transport and logistics companies paying their suppliers on average only 9 days beyond terms. The transport and logistics industry was hit with a total of £2,678,806 of bad debt in the last 3 months. The average amount owed to transport and logistics companies from failed businesses was £9,237. As for company growth the fastest growing companies were, Firstgroup PLC, Rolls-Royce Total Care Services Limited, RCL Cruises LTD, Abellio Scotrail LTD and Kuehne + Nagel Limited. On the other side of fate the biggest failures of the last quarter were, Searon Logistics Limited, T.T. Express (Oldham) Limited, Toll Prima (UK) Limited, Aldan Transport Limited and finally S Express ( Hendon Central) Limited. to be out in force again on the A19 this month. Our drivers tell us HM Customs were also at Wolviston on Teesside with alsation dogs looking for illegal imigrants in the back of artics that had been pulled over during early July. On that note DVSA have just released an interesting document... 'Enforcement booklet - Helping You Stay Safe On Great Britains Roads'. Makes an interesting read. Just click on the PDF icon to download. Cat and Mouse On Wheels! On the BBC's The One Show on 28th July 2016 Alex Jones and Gyles Brandreth were joined by actor Colin Morgan best known for playing the title character in the BBC fantasy series Merlin, and the lead in The Living and the Dead. After interviewing the Northern Irish actor host Gyles Brandreth led into the next feature by exclaiming "and now from the freaky to the fraudulent!" and the next item went on to feature what it portrayed as 'cat and mouse on wheels'. If you didn't see how DVSA try to track down unscrupulous operators using hi tech devices to overide tachographs you can watch the show (2 minutes in) by clicking here. Seems it's all a bit more sophisticated nowadays than using magnets to nobble tacho's. The show also featured Peter Hearn Director of Operations at the Driver and Vehicle Standards Agency. He told viewers how DVSA are constantly trying to keep one step ahead of the people who are trying to develop some of these devices. Viewers also got an insight in to how images how flashed back to DVSA control rooms using Automatic Number Plate Recognition software, they look for operators who have a track record poor vehicle maintenance, tax dodging or tachograph fraud. It was worrying for other road users to see a plug that makes all the trucks safety features useless. A driver who confessed while the report was being made was fined £580.00 and faced up to paying up to another £1500 for another tachograph. Last year alone 1400 other incidences were recorded where drivers using a similar device were detected. With a fifth of serious accidents on our main roads and motorways down to tiredness the tachograph is key to keeping commercial drivers and other road users safe. 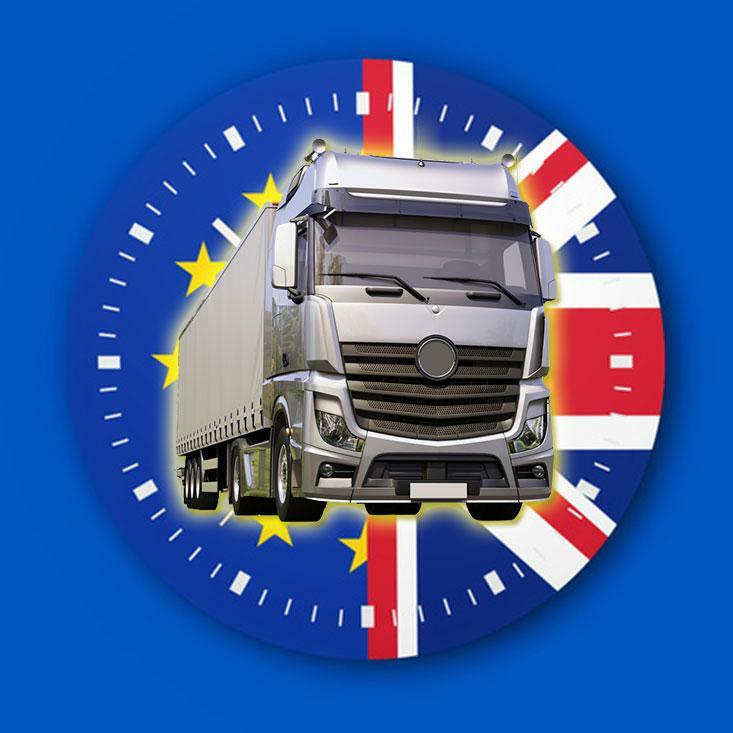 After the population of the United Kingdom voted by 52% in favour of leaving the European Union we have looked at the implications to the haulage industry and in particular Driver CPC. "We have already received calls asking what impact the “leave” vote will have on Driver CPC. Our advice to all goods vehicle operators is very simple; it is business as usual as far as Driver CPC is concerned. We continue to strongly recommend you ensure each of your drivers completes 7 hours Periodic Training each year and you plan to meet the next compliance deadline of September 2019 exactly as you would have on 22nd June 2016." A UK vote to leave the EU is unlikely to trigger an overhaul of UK transport legislation, according to transport lawyers. He added that if the UK joined the likes of Norway in the European Economic Area, post Brexit, it would still be bound by many EU laws. Ridyard also questioned the wisdom of removing safety laws such as Driver CPC. “Would the UK want to abandon a regime that requires some form of ongoing training for drivers as part of the road safety objective?” he asked. DWF senior solicitor Joanne Witheford said the UK’s record on rigorously applying EU law made it unlikely it would attempt to unravel them, post-Brexit. “The UK already takes EU legislation to a much higher degree in terms of implementation. I don’t believe that, if we left the EU, we would take a step back and throw out all that legislation,” she said. Transport solicitor Christabel Hallas warned a Brexit could see a loss of valuable regulations such as the requirement on member states to compile a national register of transport operators, which will include a history of infringements. “This would make it more difficult for our enforcement authorities to monitor the safety of vehicles coming into our country from the EU. This could mean a rise in the number of foreign-registered vehicles involved in accidents while in the UK,” she argued. The Mayor of Calais has said she wants the French government to consider renegotiating the 'Le Touquet' treaty between the UK and France. Speaking after Britain voted to leave the European Union, Mayor Natacha Bouchart said that France should consider changing the agreement, which allows British border guards to check for illegal immigrants stowing away on lorries, cars and trains before they head through the Channel Tunnel and onto ferries. This could mean elements of training incorporated into the Driver CPC could now not only change, but become even more valuable to British drivers who may need the protection of knowing how to deal with what could become an even greater threat to drivers safety and livelihoods. These photos were supplied to us by an English driver who attended our course last month who is based in the Netherlands and regularly travels between the UK and the continent. Luckily for the driver with the metal post embedded in his windscreen this vehicle is a left hand drive! 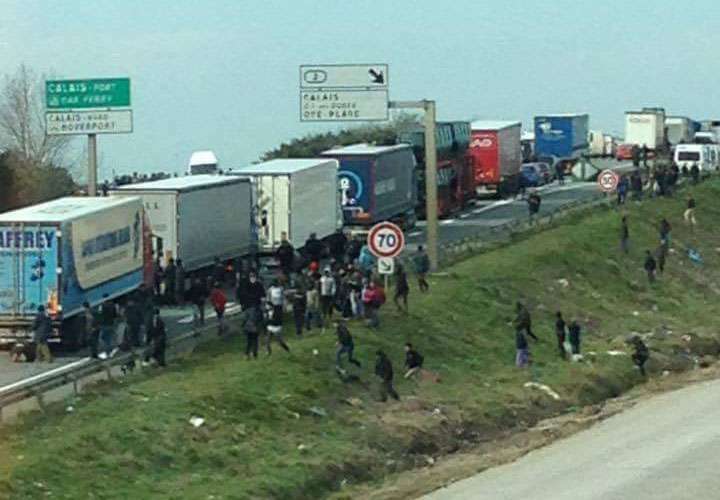 With a British exit from the EU might the French now simply "turn a blind eye" to migrants desparate to reach the UK pushing the problem on to our shores (and our brave lorry drivers)? So given the changes to way the UK trades with the E.U. and even the possibilty of a second Scottish referendum on Scotland leaving the U.K. it could well mean an increasing need for drivers to be updated with a raft of new changes. Having said that because of the massive task now of implementing 'BREXIT' officials may opt for simply just keeping as many of the laws as possible to allow them more time to make any changes. With the timescale of actual withdrawal coinciding with the next upturn in demand for CPC (prior to the next deadline in September 2019) there may be even more of a bottleneck of drivers requiring a refresh of what the rules actually are. Therefore we predict that once the dust settles on the negotiations on the UK withdrawal from the E.U. there will be whole series of new modules containing the new working regulations that having reached agreement to exit, the UK will then have to adhere to if it is to continue to trade with the E.U. A key point in our research is the EU will likely to want some form of relationship and market access. Both the In or Out Campaigns wanted a good relationship with the EU and continued trade. But not all EU members have as much to gain from ongoing trade with UK. So the negotiations will be tough and likely be protracted. The 2 year period may be extended....if so real BREXIT could be delayed for some years. Here are some key points that will have to be addressed in any "new CPC". Operator Licensing including EU1071/2009, Public Passenger Vehicles Act 1981, the Transport Act 1986, and the Transport Act 2000. If 1972 Act repealed then EU legislation (1071/2009) removed from direct effect within UK. However, the 3 UK Acts will remain UK had O Licensing before EU! Some aspects of legislation may change, e.g. repute / financial standing requirements. But fundamental obligations and regulatory framework will remain in place. Operator licensing will remain. Driver Licensing EC2006/126 encompasses: Road Traffic Act (1988) Motor Vehicles (Driving Licenses) Regulations 1999 If the 1972 Act is repealed, EU directive would no longer apply. However, its principle obligations have already been incorporated into UK law. These are unlikely to be changed. So getting back to Driver CPC UK regulations based on EU obligation, so leave EU and on the face of it no driver CPC. But, UK is a signatory of AETR, and would likely remain in that wider agreement as condition of ongoing trade. Driver CPC obligations come with that treaty. Notably, they would be needed for trade with Ireland (and potentially Scotland too). Tachographs and Drivers’ Hours. Same as Driver CPC. Reg 561/2006 & 651/2014 on face of it will no longer apply But...AETR incorporates both, so no change likely in reality. It all comes down to the negotiations! And, to trade with the EU, Britain will have to accept regulations that the EU require to create a level playing field. To summarise Brexit will in reality consist of a fresh set of treaties between UK and EU. Treaty negotiations will be hard fought and very likely take a few years to resolve, little will change in the meantime.The UK will not want to ‘leave’ until free trade is agreed, if possible, because of huge negative economic impact of EU trade restrictions if UK unilaterally departs. Until they are agreed, it is difficult to see what they will mean from an economic view but much of the Transport regulatory structure is more than likely to remain and as such Driver CPC is more than likely here to stay. Prior to the statement released by RTITB on Sunday 26th June (Nothing Changes for Driver CPC Post Brexit) ahead of the referendum back in February this year we thought we'd get an answer direct from the training board who we rely on to supply us with guidance on how we deliver the training. Could you give us some guidance please on the upcoming EU Referendum? With June not far off we are already starting to think a vote for the UK to leave Europe could undermine our business with Driver CPC. Are we right in thinking that a UK exit would mean the end of the EU Directive on Driver CPC being delivered in the UK? Driver CPC was written in to the UK law so the UK law would need to change, we don't anticipate this to change quickly, so the current cycle which ends in 2019 should not be affected."